In an ancient forest, people gather to celebrate art and have a good time. No, this isn&apos;t the setup for a fairy tale. 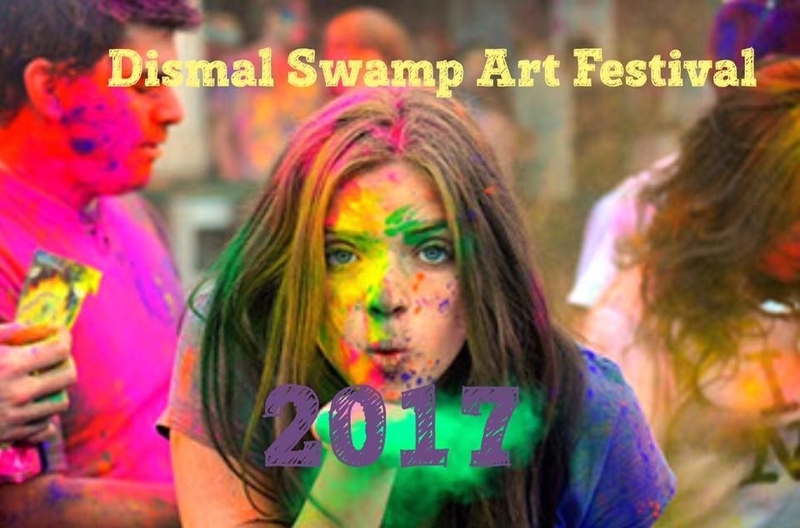 It&apos;s the 2017 Dismal Swamp Art Festival, featuring music, food, unique artwork and a whole lot of fun October 28-29. Now in its third year, the Dismal Swamp Art Festival brings together art and community for two days of family-friendly fun. K.C. Pollard, Founder, Executive Director and everything in between, says this will be the best year yet. "The excitement for this year&apos;s festival blows me away," says Pollard. "We&apos;re a piece of the Chesapeake experience. We&apos;re becoming part of their lives every year by bringing positive and beautiful things to the Dismal Swamp." The festival will feature live music from 80s cover band/local legends, The Deloreans. Be sure to check out the interactive festival map to see exactly where all your favorite vendors will be. If running is more your forte, sign up for the Swampathon 5K. At the 2017 Dismal Swamp Art Festival, music, food and art all come together for an event that&apos;s uniquely Chesapeake. There&apos;s no shortage of festivities around here-follow us on Facebook to discover even more jaw-dropping events. Come on out to Chesapeake and let the moments begin.